Traditional cookie recipes typically contain eggs, butter, and other dairy products. For the lacto vegetarian who does not consume eggs and the strict vegan who does not consume any animal products, cookies are still a viable option with the right recipes. The following vegan cookie recipes are healthy, low in fat, low in cholesterol, low in calories, and tasty for vegetarians and non-vegetarians alike. Preheat your oven to 350 degrees. Spray a cookie sheet with cooking spray. In a large bowl, stir together the flour and baking powder. In a medium bowl, combine the applesauce, agave nectar, and vanilla; stir well. Add the wet mixture to the dry ingredients. Fold in the chocolate or carob chips, nuts, and seeds. Drop the batter by tablespoonfuls onto the greased cookie sheet, and flatten each cookie with a fork. Dip the fork in water if it begins to stick to the batter. Bake the cookies for about 12 minutes or until they turn golden. Preheat the oven to 350 degrees. Spray an 8-inch square baking pan with cooking spray. Using a blender or food processor, grind oats to the texture of coarse powder. In a large bowl, combine the processed oats with the berries, cinnamon, cloves, arrowroot, and apple juice concentrate; blend well. Spread the batter evenly into the prepared pan. Bake the sheet of bars for about 30 minutes or until the bars are lightly browned on the edges. Cool and cut into 16 squares. Preheat the oven to 350 degrees. Combine the prunes and water in a blender; blend to a thick, pasty consistency. In a medium bowl, combine the prune paste with the oil, molasses, sugar, orange juice, and vinegar; stir until smooth. In a large bowl, combine the flour, soy protein isolate, cinnamon, ginger, cloves, baking powder, and salt. Sift the dry ingredients gradually into the wet prune mixture. Stir until the batter is thoroughly moistened. 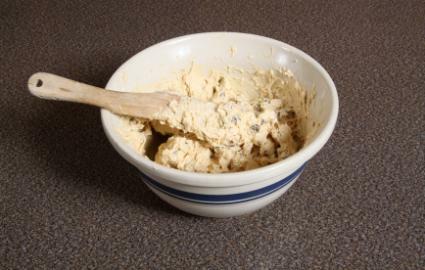 Drop the batter by tablespoonfuls onto an ungreased cookie sheet; flatten each cookie with a fork. Dip the fork in water if the batter sticks. Bake the cookies for eight to 10 minutes.